Min and I were out all day shopping on a rainy day (few weeks ago), and I was being cranky from being hungry and tired. I really didn't feel like cooking at the end of a tiring day. So, we decided to eat out. On rainy days, there's nothing that makes you warmer than hot steamy soups. 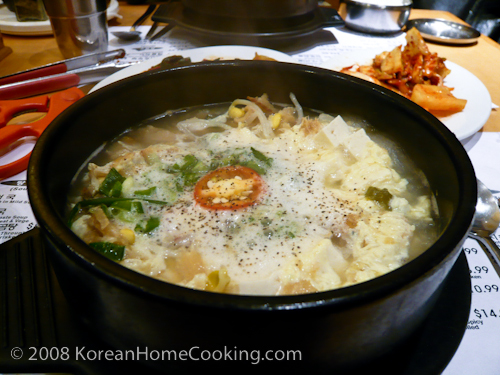 Seoul Gom-Tang in Oakland specializes in hot-pot Korean soups. 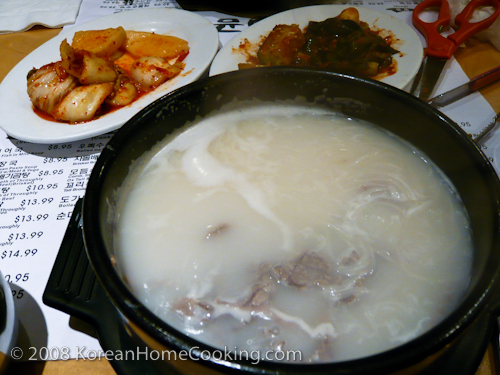 Min's favorite from Seoul Gom Tang is bugaguk, dry pollack soup. I ordered sulungtang, beef soup. It was perfect for the weather. Do you have recipes for both these soup dishes in the Oakland restaurant please? They look so yummy! Can't wait for it. Thanks!